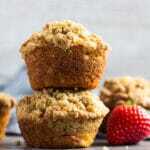 Strawberry Crumb Muffins – Deliciously moist and fluffy vanilla-infused muffins loaded with fresh strawberries, and topped with a buttery cinnamon streusel! 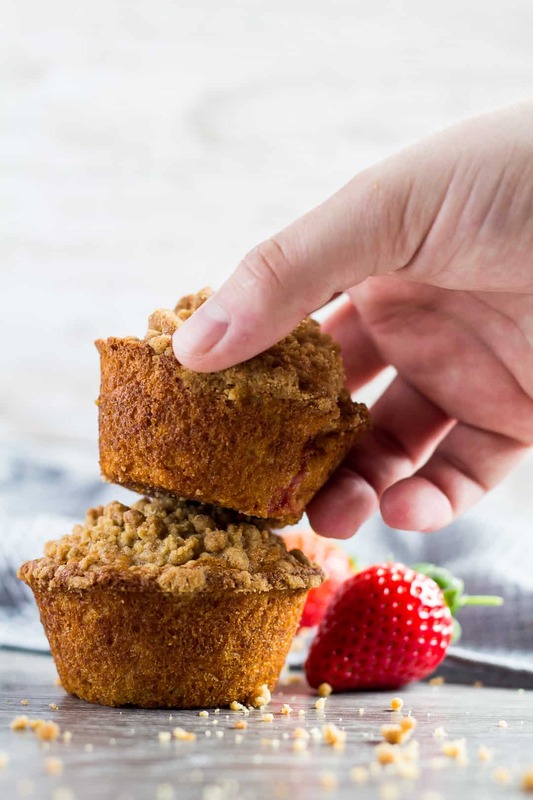 Take my favourite chocolate chip muffin recipe, swap the chocolate chips for chopped strawberries, top with cinnamon streusel, and you have yourself these incredibly delicious Strawberry Crumb Muffins! 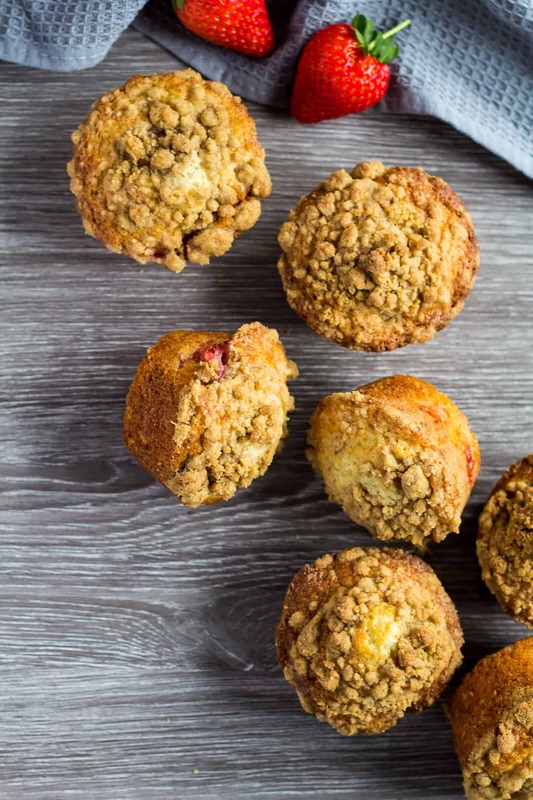 If you like to treat yourself at breakfast time, you’re gonna fall in love with these muffins. 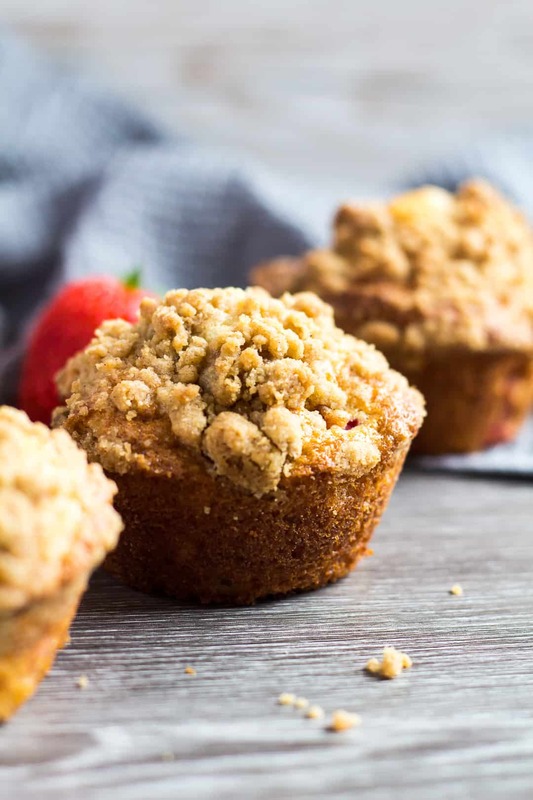 They’re loaded with freshly chopped strawberries that pair wonderfully with the cinnamon-spiced, buttery streusel topping. To make the streusel topping, whisk together the flour, sugar, and cinnamon. Add in the melted butter, and stir with a fork until combined. 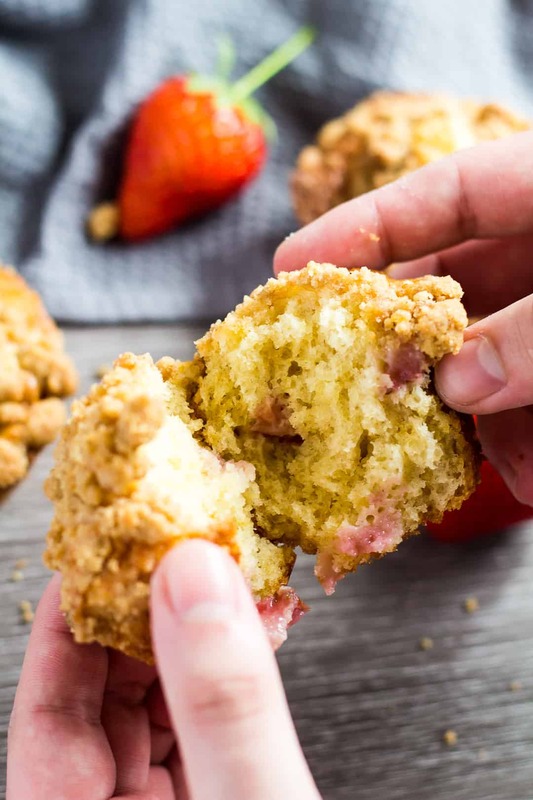 This streusel recipe creates big, chunky crumbs – I love them! To make the muffins, simply whisk together all of the dry ingredients in one bowl, and all of the wet ingredients in another bowl. Combine the two mixtures together, then gently fold in the chopped strawberries. These muffins are perfect for making ahead of time. They keep fresh in an airtight container at room temperature for up to 5 days, and you can also freeze them for up to 2 months. Great for busy mornings, and on-the-go snacks! Love freshly baked muffins? Simply pop a muffin or two in the microwave for a few seconds to enjoy them warm – like they’ve just come out of the oven. SO good. 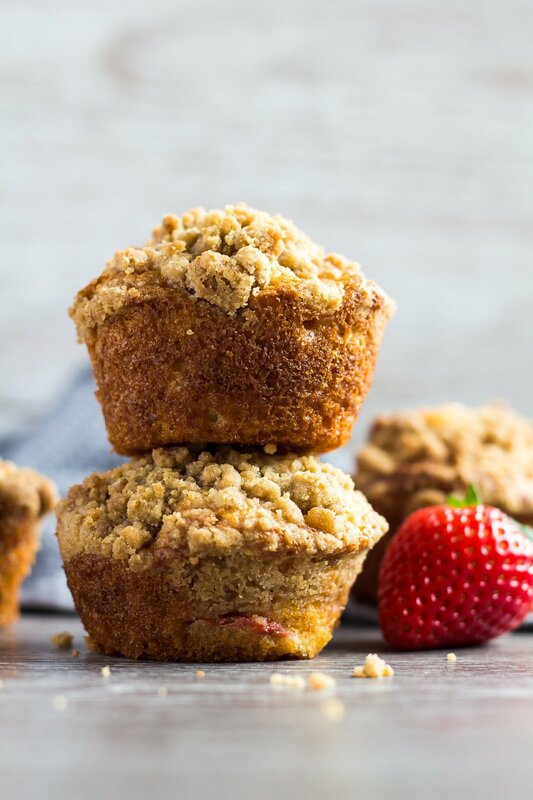 Deliciously moist and fluffy vanilla-infused muffins loaded with fresh strawberries, and topped with a buttery cinnamon streusel! Whisk together the eggs, oil, yogurt, and vanilla extract. Pour the wet ingredients into the dry ingredients, and mix until just combined. Do not over-mix. Gently fold in the strawberries. In a small bowl, whisk together the flour, sugar, and cinnamon. Add the melted butter, and mix until evenly distributed. Spoon the batter into the prepared pan, top with the streusel, and bake for 15 - 20 minutes, or until a toothpick inserted into the centre comes out clean. Allow to cool for 5 - 10 minutes in the pan, then transfer them to a wire rack to cool completely. These look amazing Marsha! So light and refreshing. I can’t wait to try these.